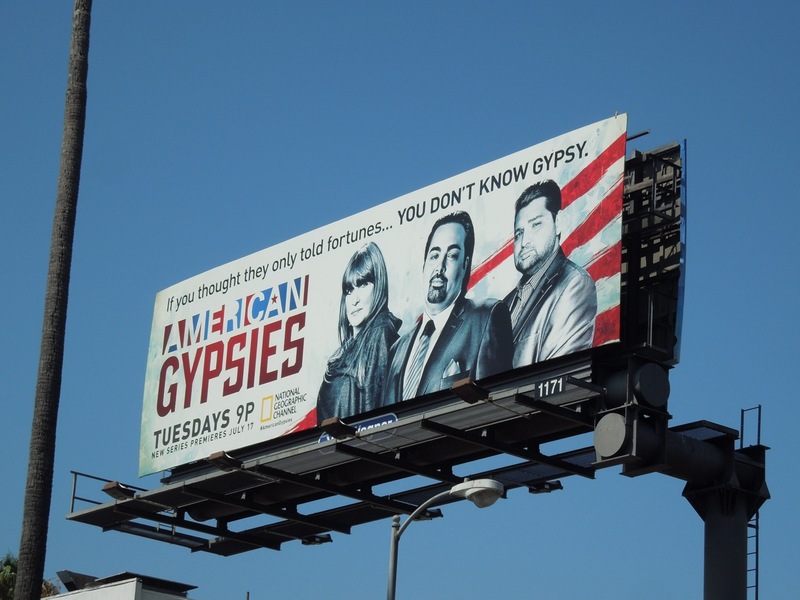 In a world of Kardashians, Big Brother houses, talent contests and a million other reality TV series, it's hard to remember what we all used to watch before these types of shows. Well chalk another one up on the list with the debut of American Gypsies on the National Geographic Channel. 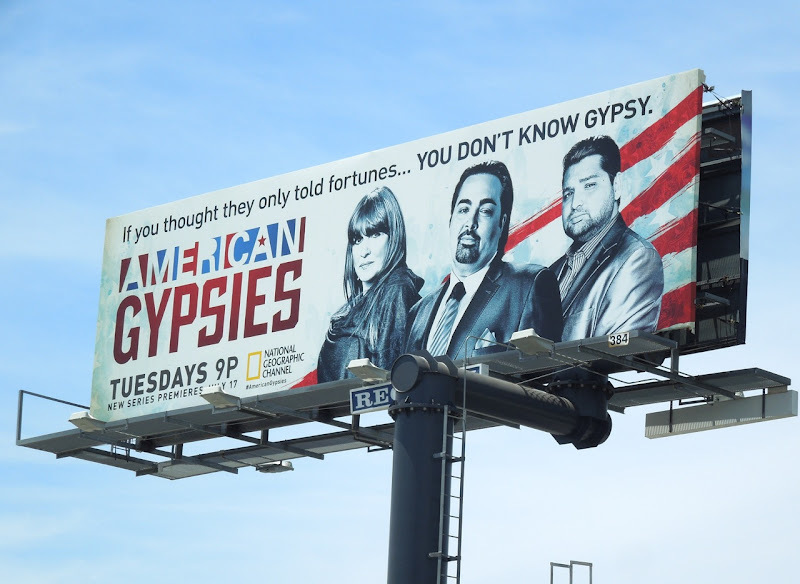 Apparently this new series will help dispel a few popular myths about the Romani folk through the lives of the Johnses family and their rules and traditions. 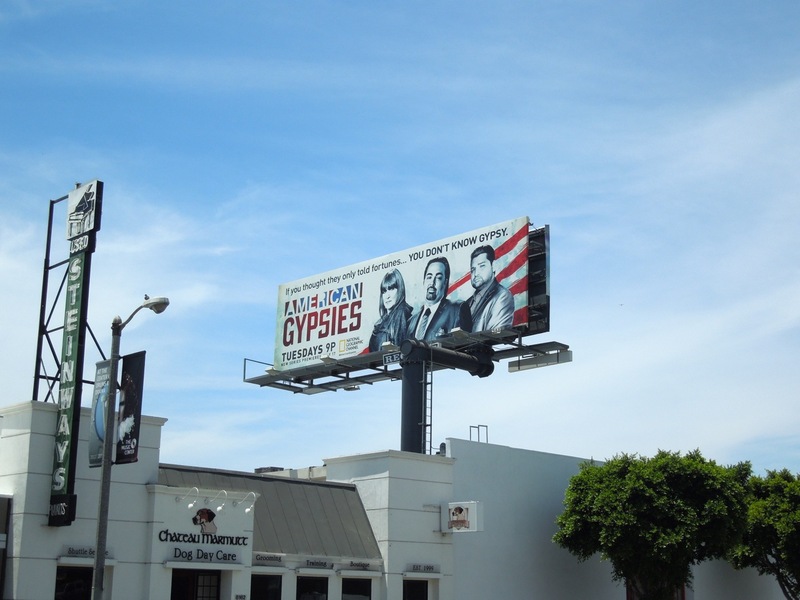 This patriotic 'You don't know gypsy' billboard was snapped along Beverly Boulevard and Sunset Boulevard on July 10, 2012. 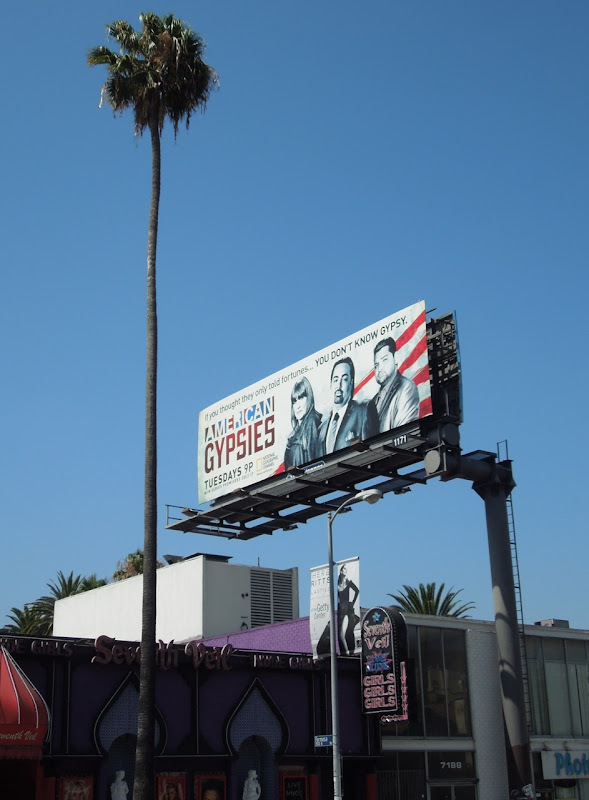 Be sure to check out these additional billboards for other quirky fly-on-the-wall shows, like the New England fishermen in Wicked Tuna, truck drivers in remote and treacherous Canadian and Alaskan locations in Ice Road Truckers and coal miners in Coal.